Fire Service Access Elevators or F.S.A.E. for short, are designed with strict and rigorous standards to allow firemen and first responders to utilize the elevator for the purpose of quickly accessing floors as well as evacuating occupants in the event of an emergency. This is a huge step for first responders as time is extremely crucial when addressing buildings of this size. Another special condition for elevators is known as Occupant Evacuation Elevators. These are self-evacuation elevators with special requirements much like FSAEs. What Code Requires the Use of Fire Service Access Elevators? "In buildings with an occupied floor more than 120 feet above the lowest level of fire department vehicle access, no fewer than two fire service access elevators, or all elevators, whichever is less, shall be provided in accordance with section 3007. Each fire service access elevator shall have a capacity not less than 3500 pounds." The requirements on how a fire service access elevator is to be installed can be found in the IBC or International Building Code 2015 section 3007. Lastly, a means for elevator shutdown or Shunt Trip in accordance with IBC section 3005.5 shall NOT be installed on elevator controllers used for fire service access elevators. The shaft or hoistway enclosure shall comply with IBC section 713 "Shaft Enclosures" as well as section 403.2.3.1 "Wall Assembly" and sections 403.2.3.4 "Other Wall Assemblies". 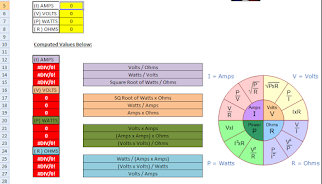 Another important aspect to keep in mind is the hoistway lighting for the FSAE shaft. When the Fire Service Access operation is active, the entire height of the hoistway shall be illuminated at NOT less than 1 footcandle (11 lux). This measurement is to be taken from the top of each fire service access elevator cab. **The fire service access elevator status panel (located in the FCC room) shall have a switch to manually operate this lighting feature. Although this is not a direct requirement for FSAE rather buildings that are four stories or more, it still applies and is worth mentioning. IBC section 3002.4 "Elevator Car to Accommodate Ambulance Stretcher" gives us the dimensions required for the cab. "The elevator car shall be of such a size and arrangement to accommodate an ambulance stretcher 24 inches by 84 inches with not less than 5 inch radius corners, in the horizontal, open position. ADA Table 407.4.1 breaks this down a little further and gives us the following: The cab shall be provided with a minimum clear distance between walls and door excluding return panels not less than 80 inches by 54 inches and a minimum distance from wall to return panel not less than 51 inches with a 42 inch side slide door. Egress through the fire service access elevator lobby is permitted in accordance with IBC section 1016.2 "Egress Through Intervening Spaces" item #1. The exception to this rule is if the FSAE lobby has two entrances onto the floor, the second entrance shall be permitted to open into an elevator lobby in accordance with IBC section 3006.3 "Hoistway Opening Protection". The fire service access elevator lobby shall have direct access to to an enclosed interior exit stairway or ramp. The interior exit stairway or ramp can be in a protected pathway that has a level of protection not less than the FSAE lobby. The path of travel and FSAE lobby shall be separated via an opening protected by a smoke and draft control assembly in accordance with IBC section 716.5.3 "Door Assemblies in Corridors and Smoke Barriers". The FSAE lobby enclosure shall have smoke barrier having a fire-resistance rating of not less than 1 hour. The FSAE lobby doors shall be 3/4 hour fire door assemblies in accordance with IBC section 716.5 "Fire Door and Shutter Assemblies". This rule does NOT apply to the hoistway doors, elevator control room doors or elevator control space doors. FSAE lobbies are not required to be enclosed at the levels of exit discharge. Keep in mind the elevator lobbies for fire service access elevators shall be no smaller than 150 square feet in area with a dimension not less than 8 feet. This rule applies no matter how many FSAE cabs are served by the same lobby. Example 8 feet x 19 feet would give you 152 square feet of lobby area. How are Fire Service Access Elevators Designated or Noticed? IBC section 3007.6.5 gives us the following information. 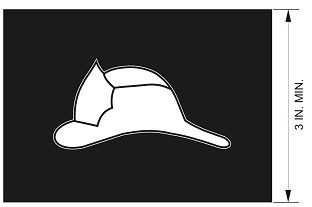 A pictorial symbol of a STANDARDIZED design shall be placed on each side of the hoistway door frame on the portion of the frame at right angles to the fire service access elevator lobby. To clear that up, the symbol shall be installed on the frame where it is noticeable immediately upon entry to the FSAE lobby. The helmet shall contrast the background. It states you can use a dark helmet on light background or light helmet on dark background. The symbol shall be located on center line of the symbol and FSAE door frame at a height of not less 78 inches or more than 84 inches. The fire service access elevators shall be continuously monitored at the FCC by a standard emergency service interface system meeting requirements found in NFPA 72 the National Fire Alarm and Signaling Code. This is currently taken from our home state of California out of the California Building Code 2013 of CBC section 3007.2. Activation of ANY initiating device within the building shall active the phase 1 recall of all fire service access elevators. All standard elevators shall remain in the normal operation unless they are manually taken over via key or the activation of their associated fire alarm initiating devices. NFPA 72 2016 section 21.5 requires an approved means for firefighters to monitor smoke and heat conditions in the FSAE lobbies and associated machine/control rooms. This is intended to provide firefighters with more information to determine whether the FSAE lobby protection has been compromised. This means shall include a dedicated FSAE Status Panel located at the FCC. (Reference NFPA 72-2016 Section 21.5 indicated in item 4.g below). For Notifier we use the addressable FMM-4-20 module along with a Veris Industries TW or TE wall mounted temperature sensor. We then provide a custom LED status panel from the H.R. Kirkland Company Inc. with each elevator lobby broken down into 5 temperature levels. 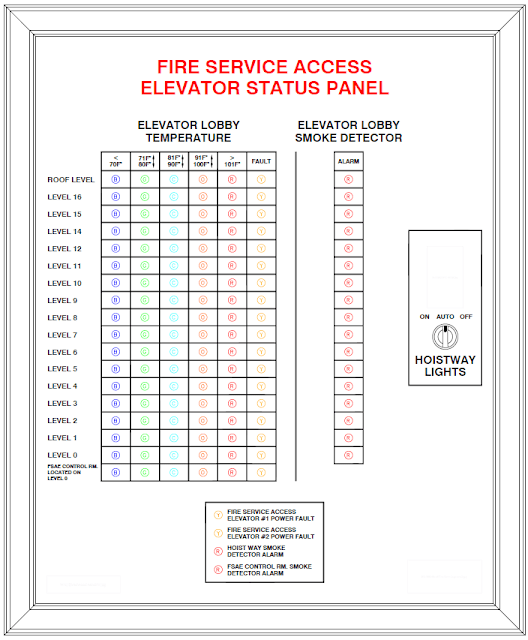 See image below of a Fire Service Access Elevator Status Panel for San Francisco, CA. 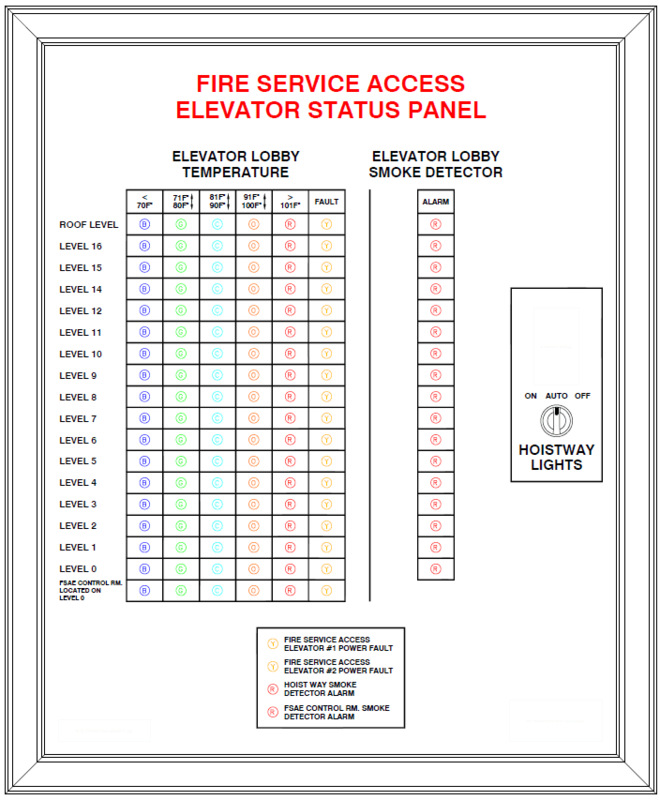 Read this article to see how Notifier is accomplishing the monitoring of individual temperature ranges within each fire service access elevator lobby. "Temperature Sensors for Fire Service Access Elevators"
In closing fire service access elevators are a fairly new setup allowing fire fighters and first responders to access the elevators in the event of a fire. 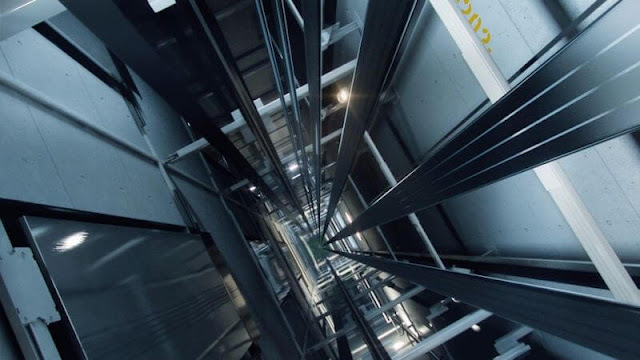 Since these lifts are established as Fire Service Access Elevators, they must meet some very strict rules to ensure they are safe and will function in the extreme conditions of a structure fire.